Ford engineers tested whether coloured light displays could be a solution for bridging the communication gap between autonomous vehicles and pedestrians. But how will selfâ€‘driving vehicles, with no human driver, communicate with those around them? 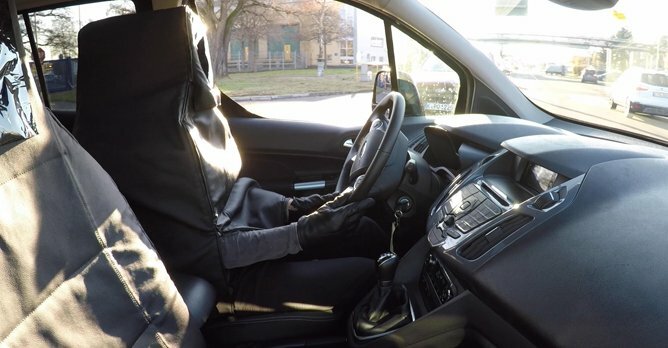 To ensure testing was as realistic and natural as possible, the company created the 'Human Car Seat' installed inside a Transit Connect van. The tests concluded that 60% of 173 people surveyed after encountering the Transit Connect thought it was an autonomous vehicle. Together with the observed reactions of a further 1,600 people, turquoise - more noticeable than white and less easily confused with red than purple - was the preferred colour. Ford is working towards ensuring that people trust autonomous vehicles. Essential to this is the creation of an industry standard for communicating driving intent. There was also a high level of acceptance and trust in the signals, providing a basis from which researchers can further develop the visual language. New 2015 Mustang. Will you want one?